Polyresin and Metal Hook. Keyhole on back for wall mounting. Add character to your entry way, door, bedroom, bathroom, patio, cabin or garden with our wall rack. 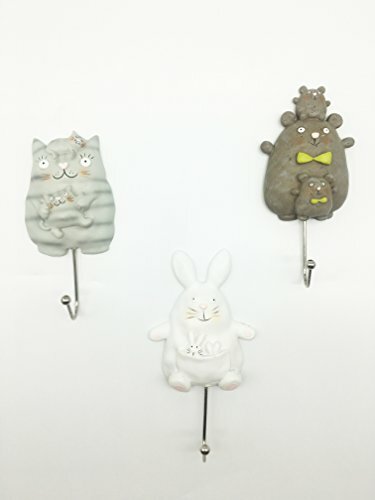 These wall hooks are decorated with cute animals to give your home a warm, sophisticated look. These wall coat racks will make a wonderful gift.